It’s been about 17 years since Tim Berners-Lee developed the World Wide Web while working at CERN and about 12 years since Marc Andreessen developed Netscape Navigator. The Web has, for the most part, followed the path of every other breakthrough in communications technology: copy the conventions of the previous leading technology before exploring the innovations that make the new one unique, e.g., early radio programs sounded like people reading aloud from books and early television programs looked like theater plays. Early websites looked like pages out of a notebook or a magazine. Usually, we had to wait until the new technology reached a stage where it gained enough infrastructure in order to enjoy its full potential. 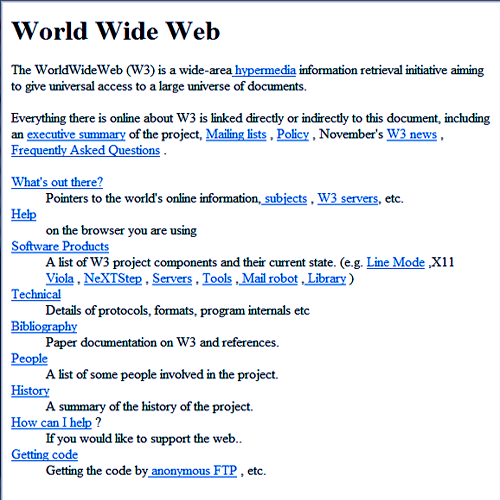 Hopefully, the Web has reached that stage in its development, a stage that Tim O’Reilly calls Web 2.0. Instead of passively reading someone else’s notebook or magazine, a Web 2.0 site may allow us to interact and collaborate with each other and create content in a virtual community. 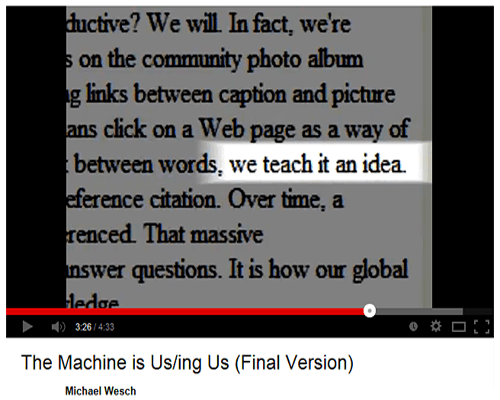 Kansas State University professor Michael Wesch created a video for his students that illustrates these Web 2.0 ideas using the very tools that he talks about. Towards the end of the video, Professor Wesch raises some important thoughts about how advances in technology might effect us as we rethink such concepts as identity, ethics, privacy, and copyright. Incidentally, the article that briefly shows up in Dr. Wesch’s video is by editor and writer Kevin Kelly and is about the development of a global brain. The article is We Are The Web and appeared in Wired magazine.